Documentary photographer, Effy Alexakis, and historian, Leonard Janiszewski, have been researching the Greek-Australian historical and contemporary presence in both Australia and Greece since 1982. Their project and archives, In Their Own Image: Greek-Australians, encompasses visual, oral and literary material and is based at Macquarie University, Sydney. Their archive is one of the most significant collections in the country on Greek-Australians. Alexakis and Janiszewski have published their latest book, Greek Cafes & Milk Bars of Australia with official launches having taken place in Sydney, Canberra and Brisbane and now the Greek Centre is set to host the Melbourne leg of their national tour. In an Australia we still remember, in each suburb and every country town, was the Greek café or milk bar – open all hours, 7 days a week. Enterprising Greek-Australians developed a paradigm that spread round the world – while toiling Greek families gave their neighbours a focal point; a welcome respite for all ages and all walks of life. 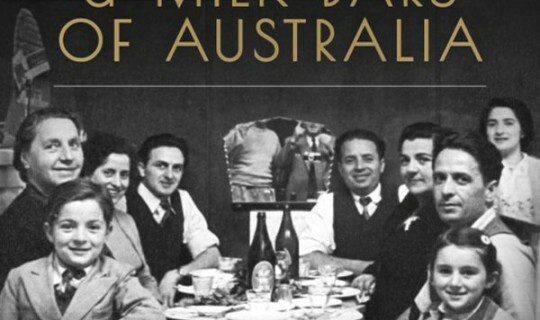 This historically important publication presents Australia’s Greek cafés and milk bars as a global phenomenon in the modern era. Food-catering enterprises run by Greek migrant/settlers successfully married Hellenic and cross-cultural influences with local needs. Greek-run cafés and milk bars populated Australian country towns and cities, merging local fare with new American food-catering ideas. Leonard and Effy will be in Melbourne to present a lecture at the launch on their 30 years of research culled from travels within four continents, selected from over 1,800 interviews and innumerable contemporary and historical photographs. A selection of Melbourne and Victorian Greek-run cafés and milk bars will be included in their presentation. Delphi Bank Mez, Greek Centre 168 Lonsdale Street, Melbourne Light refreshments will be served and the book will be available for purchase.